Today's quote seems pretty simple. 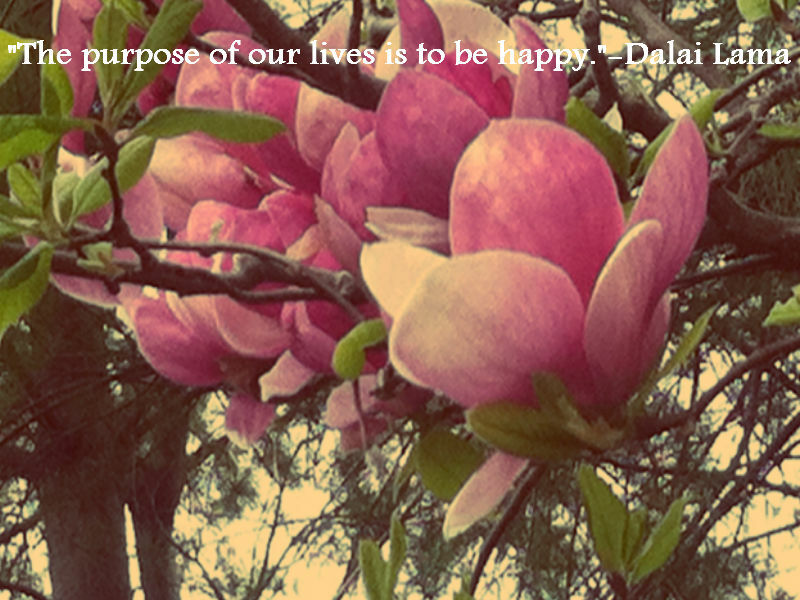 Be happy and fulfill your purpose by doing so. When I first read it, my reaction was "Ok, but how do you find your happy?" Then, I rolled my eyes at myself. Why? Because I know how to get to my happy place...the question is really how to make that happen while still having the things I need (health insurance, regular income, etc.). I am a pretty joyful, happy person. There is only one aspect of my life that gives me anxiety and stress and I'm not sure how to totally change it. I guess that is where faith comes in. You keep plugging away at the thing that makes you happy and have faith that one day what you do for a living will be that thing. If not, plug away anyway and perhaps it will bring you so much joy that the shadows cast by the unpleasant parts of your life will shrink or fade away. Happy Monday! !